What Are the Best VPNs for Twitter? Access to Twitter may be blocked in certain countries and locations. 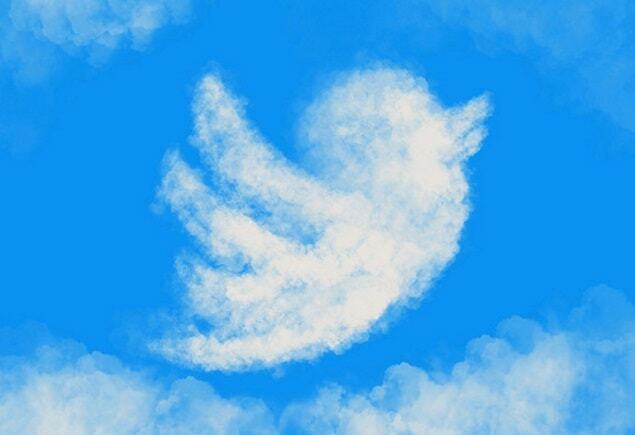 Get ahead by using one of these top VPNs to help you access Twitter. Twitter is one of the world’s most popular social networks, so it may seem hard to believe that access to it is often restricted. Whether it’s restricted by private enterprises like universities that want students to focus on their studies, or entire countries that seek to stifle political conversation, would-be tweeters often find that they aren’t even able to log onto the website, let alone post anything. Of course, when anything is geo-blocked (blocked based on your location), there’s a way to get around it. That way is a VPN. VPNs have 2 main functions: Added security and obscuring your location. The way they do this is by encrypting traffic flowing to and from your device, making it go through an intermediary server. This adds a level of protection and also hides your location. There are loads of VPNs out there, so it’s important to choose one that will work effectively toward your goal: allowing you to use Twitter. To help you attain your goal, the VPN you choose will need to offer a fast connection and top-notch security features. And, a money-back return policy wouldn’t hurt either. Here are 5 of the best VPNs for Twitter that don’t compromise on speed, security, and customer satisfaction. ExpressVPN is known for its fast, continuous connection, made possible by servers in 136 cities and 94 countries. ExpressVPN is specifically designed to unblock Twitter, making it a good option if this is what you’ll be using it for. NordVPN is another VPN that’s designed to allow access to Twitter from geoblocked locations. This VPN is a good option for people who are worried about security; it comes with extra security measures and privacy features, including an automatic connection kill switch and patented double-data encryption technology. Hotspot Shield provides secure browsing, fast performance, and access to global content - the perfect trifecta for a Twitter VPN. Secure browsing means that you can access Twitter without compromising on security, while fast performance and access to global content means that you can access the information you’ve been craving in real-time, without annoying delays and setbacks. HideMyAss specializes in allowing access to government-blocked sites, like Twitter, essentially making internet censorship ineffectual. With nearly 1,000 servers across 190+ countries, HideMyAss is used around the world by young and old alike who want to have access to global content that’s blocked in their countries. PureVPN is another speedy VPN that offers secure identity protection and internet freedom. It also comes with extra security features like firewall and a connection kill switch. While its money-back guarantee period is shorter than most, PureVPN does offer some stellar sales. The exact steps you take to use a VPN to unblock Twitter will depend on which VPN you choose. The main idea, however, is the same, and in theory it’s fairly simple and straightforward. Step 1: Purchase your VPN of choice, download and install it on your device(s), guided by user prompts. Step 2: Open the VPN, connect to server. You’ll have the choice of choosing servers in a variety of countries; choose a country, like the U.S., that doesn’t block Twitter. Step 3: Once you connect to a server in an open country, you can then go to Twitter and should have immediate access. As you can see, many countries have resorted to blocking at least some Twitter accounts temporarily or permanently, often during times of political unrest, like the Arab Spring. And it’s specifically during these times when people want access to the site that’s viewed as the bastion of free speech. In these situations, using a VPN to unblock Twitter is the only way to stay abreast of the political commentary that regularly takes place on the popular platform. Without a VPN, people are dependent on their governments to unblock it, which can take months or even years to happen. And even if it does happen, not all content may be released. While you may not feel the need to use your VPN all the time, buying it and installing it on your devices will ensure that you’ll be able to use it when you do need it. So whether you’re travelling abroad or living in a country in which the government is prone to blocking Twitter, VPNs can help you beat the system and surf the net safely and securely.